When Intel takes time out of their keynote speech at Computex to announce and hype a product, you can pretty much be assure that it is something special. 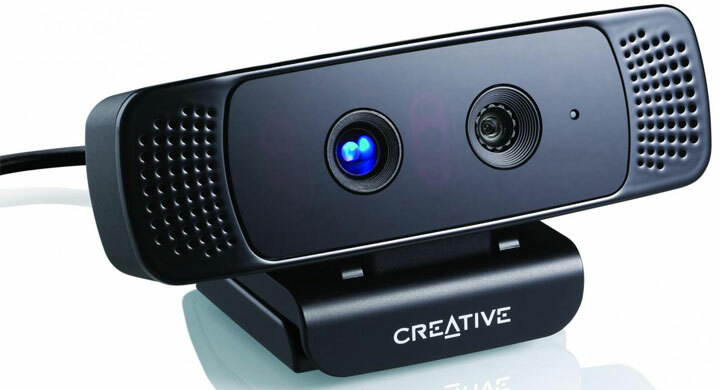 This is exactly what Intel did with the soon-to-be-released Creative Senz3D which has been bundled with their own Interactive Gesture Camera Developer Kit as the de-facto standard to which developers should design their Perceptual Computing software around. On the surface of the rings, this simple HD-capable webcam with dual array microphones does not seem all that praiseworthy; however, the Senz3D allows home users the ability to control an application, game or even the OS via hand gestures, voice commands or even simple facial movements. In a way, this works pretty much like theLeap Motion. Also, any programmer can use Intel’s Perceptual Computing SDK to create their own apps for the Senz3D or even upgrade their existing games to have the ability to control it via hand motions. Portal 2 is among the first to support the gesture camera. Of course, the Senz3D is only as good as it ever will be – unlike the Leap Motion which can increase its resolution and accuracy. This means while it can be used for replacing a keyboard and mouse, most will not want to. No word on pricing or exact release date is known at this time.